The MST CFX Kit is a high performance scale truck designed to deliver a balance of performance and incredibly realistic looks. 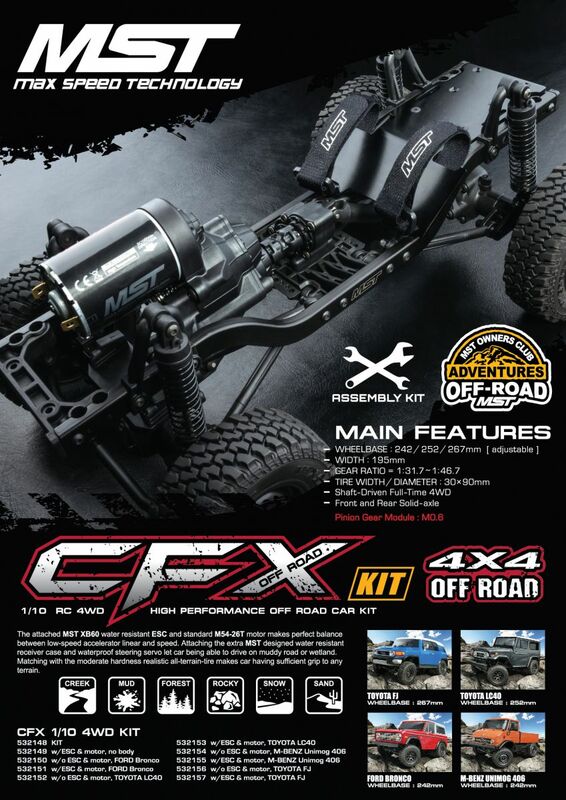 With features that include heavy duty steel CVA front driveshafts and 40° of steering angle, combined with 4 link suspension and a forward mounted battery, the CFX is a scale rig that can hang with the big boys. Read on to discover why the CFX is a great option for enthusiasts of every level that are looking for a new platform for their next project. 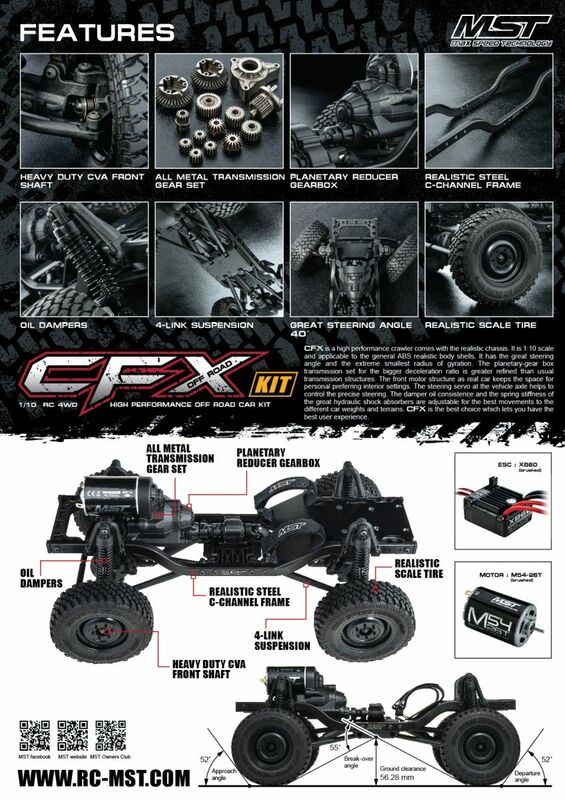 The CFX features a forward mounted motor, with planetary gear transmission and transfer case system that creates a gear reduction ratio perfect for crawlers. With steel gears and bearings throughout the transmission the CFX will transfer power from the motor to the axles smoothly and efficiently. The CVA driveshafts and lockers ride on bushings for longevity and reduced maintenance. 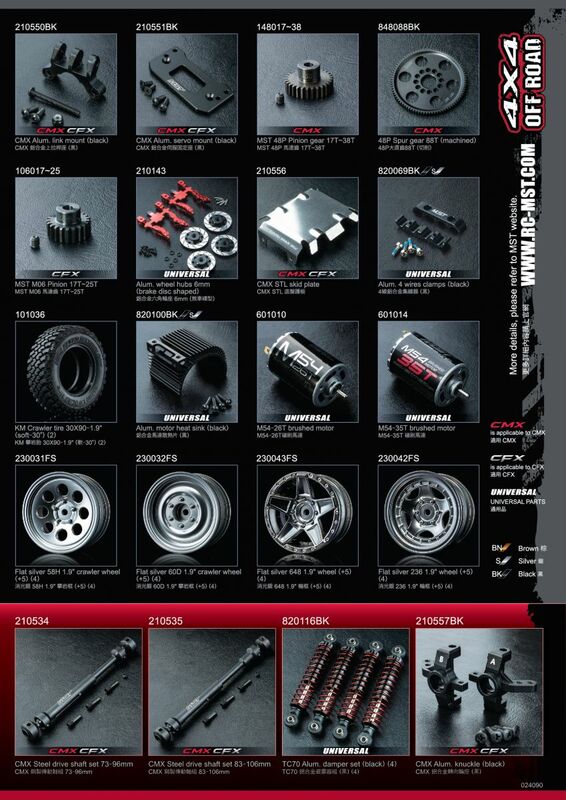 A rear mounted battery and electronics plate rounds out the package and helps to balance out the weight bias of the forward mounted motor and transmission. 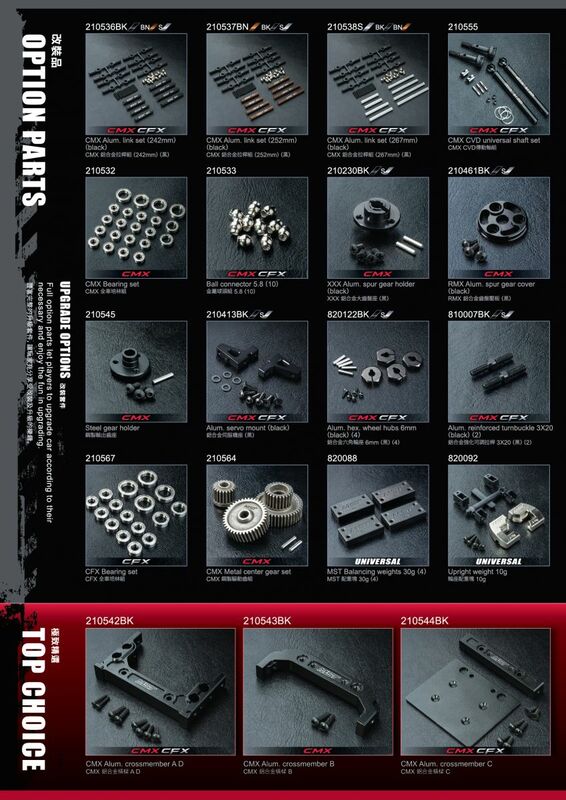 A genuine Tamiya Land Cruiser LC40 body is included to finish off the package. With all the molded scale details like grill, rear view mirrors and head lights/tail lights that can fit 5mm LEDs, this great looking body really brings the rig to life and gives the body a realistic look on the trail. MST classifies this truck as 1/10 scale, but the wheelbase is shorter and the track width is narrower than 1/10 models from other manufacturers. See specifications below for a full listing of measurements. Product photos show painted body installed, with scale accessories attached. This was done for illustrative purposes only. The body you will receive is clear with factory applied overspray film, and requires paint. The grill, tail lights, rear view mirrors and spare tire mount must be mounted as well. Detailed instructions are included.